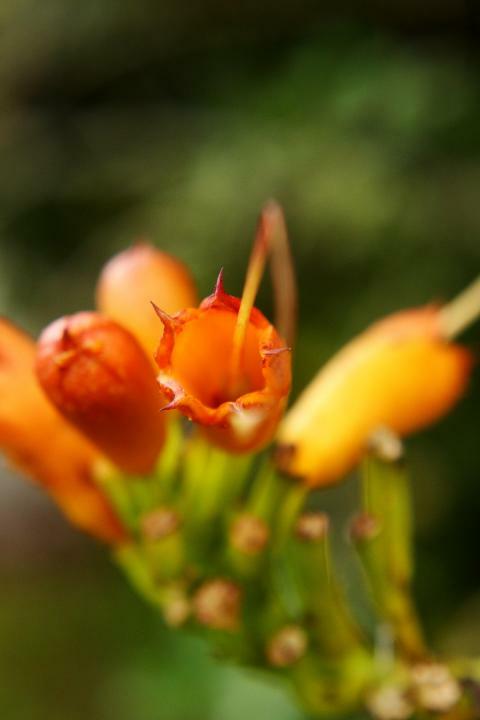 This is a close up of a trumpet vine flower. A +4 and +2 diopters were used to enable close up focusing. The raw file was processed in Digital Photo Professional. A curves layer, PaintShop Pro, was used to adjust the contrast. A Canon EOS Rebel XSi with an EF-s 18-55mm f3.5-5.6 IS II lens was used to take the image. The settings were TV:1/125", AV:f8, and ISO:400.